The video is part of an initiative to have the third Monday in January become True Monday, the International Day against fake news. For years the Canary Islands has been battling Blue Monday, a fake news story that claims that this is the saddest day of the year. As part of its effort to get back and stand up for good vibes, the Canary Islands want to turn this non-existent event into a day to combat fake news. 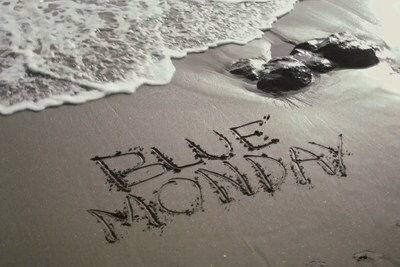 The goal is to kill off Blue Monday once and for all and turn it into True Monday. To do so, the Canary Islands have created an informative video with messages as blunt as "Don't let any comments, any news, any made-up formula manipulate your feelings. It's time for us all to start improving the climate". In addition, in coming months, officials in the Canary Islands will work to turn the third Monday in January into the International Day Against Fake News, a day to combat all the lies and untruths that sow tension, discord and bad vibes. The stopbluemonday.com website describes this commitment through a manifesto and includes tips for identifying fake news, measures for getting back the good vibes and a quiz so users can check their knowledge. In 2005, using a completely made-up formula, Professor Cliff Arnall, from Cardiff University (United Kingdom), declared that the third Monday in January was the year's saddest day. This initiative was part of an advertising campaign for a travel agency. Even though its credibility was called into question from day one, to the point that even Cardiff University called it "a farce", the media, including social media, continued to spread the news year after year. The Canary Islands managed to get none other than Professor Arnall himself to publicly disavow his Blue Monday creation and join the #StopBlueMonday movement. "It's time to finally stop letting made-up comments, news or formulas manipulate our feelings and for everyone to start improving the climate", said the professor. In short, the goal of the initiative is to remove the day devoted to sadness from the calendar once and for all and, in its place, to raise society's awareness of the fight against the type of fake news that created it.